Framed Watercolor (triptych) 34" x 72"
Keith Andry is an accomplished watercolorist, juror, and instructor. 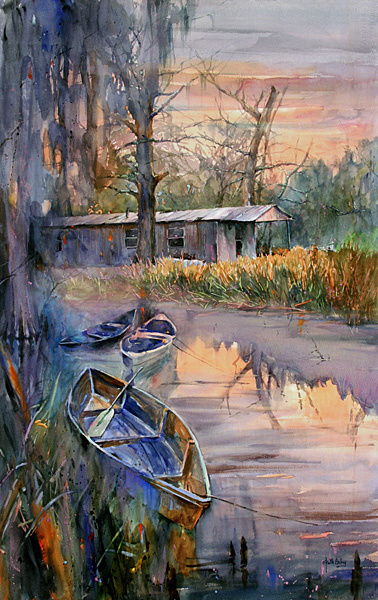 He is the recipient of numerous awards, and has been featured in several national publications, including American Artist and The Artist's Magazine. 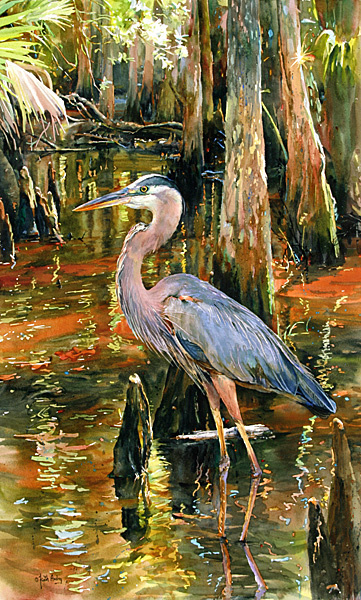 Keith's reputation has brought his works to many public and private collections throughout the United States and Europe. 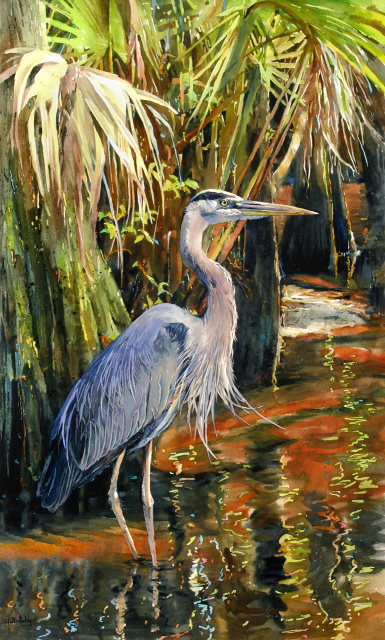 "Great Blue Heron I" "Great Blue Heron II"
"Strong feeling is the hallmark of any good painting. Painting is my way to communicate not only what I see visually, but also what I feel and sense. Careful planning is the key to a successful painting; I believe that you should plan like a turtle and paint like a rabbit allowing some room for spontaneity. This is the common denominator in each of my paintings."